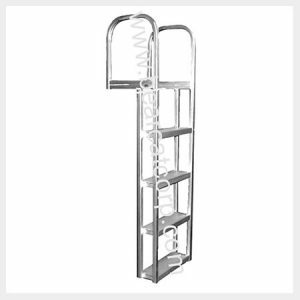 This dock ladder offers 3, 4 or 5 of our original and comfortable 5″ deep x 16″ wide non-slip steps, but the straight profile allows easier mooring at your pier. 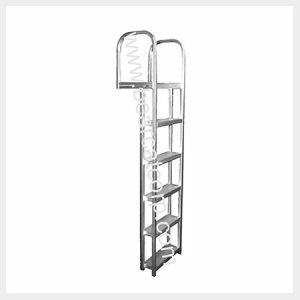 Features of this ladder are: 201R1 Clear anodized aluminum and quick release mounting brackets. 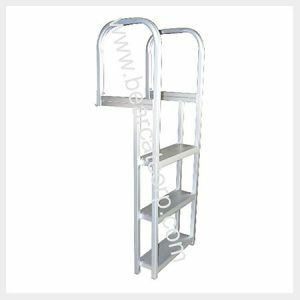 The mounting brackets make removing the ladder quick and easy to attach it to your boat, pier and swim platform. They also make a great theft deterrent and ease the winter storage process. Assembly is required and mounting hardware included.